One can’t truly engage life when looking through a handheld device to capture photos and videos. 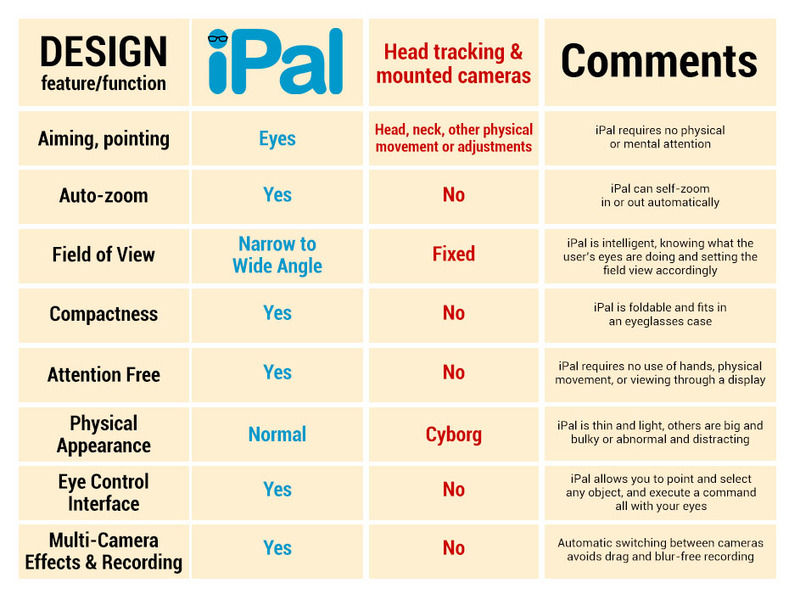 For recording video, hand-held cameras and smartphones require continuous physical and mental involvement of the user. While holding the camera steady, pointing it in the right direction and monitoring the recording on a display, one becomes a cameraman and can not fully enjoy the experience being recorded. 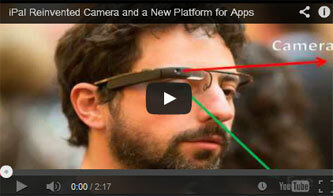 The promise of head tracking cameras is that they can record what your eyes see. 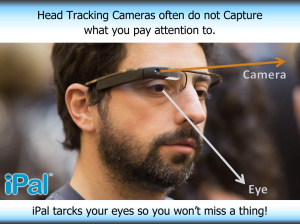 But head tracking cameras that have the same narrow, or binocular, field of view as the human eye, usually miss to what object the user is actually paying attention. On the other hand, head tracking cameras with a wide-angle field of view, which includes the peripheral field of view, always capture data that is extraneous and irrelevant to the user. In contrast to head tracking cameras, eye tracking cameras follow a user’s eyes in real time, recording only what the user is paying attention to, and even can automatically zoom on an object.